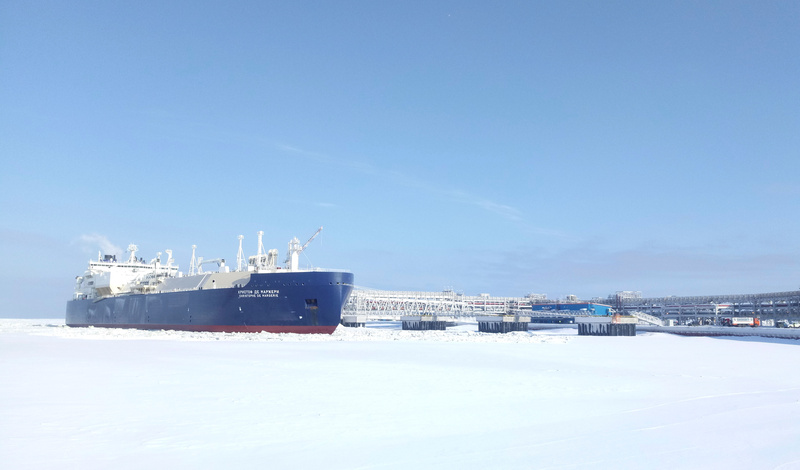 The Russian natural gas company won an exemption from the ban on carrying oil and gas on foreign-flagged tankers, which could have seriously harmed its Arctic LNG 2 project. Under a new decree, Novatek and its shipping partners are allowed to operate or charter foreign vessels to transport LNG from the port of Sabetta to transshipment hubs or ports outside the NSR. The government removed 26 tankers currently under long-term contracts from the ban and granted permission for them to sail until the end of 2044. In order to accommodate additional vessels on a short-term basis, which are of crucial importance to Novatek during the summer months, the decree also allows for additional foreign-flagged LNG carriers if they are chartered for at least six months until December 31, 2021. The now-granted exemption provides much needed assurances about the logistical feasibility of the Arctic LNG 2 project. With this hurdle cleared, external investors, including Saudi Arabia’s national petroleum company, Saudi Aramco, may be more easily persuaded to become partners in the project. The exception will also alleviate ongoing logistical challenges faced by Novatek, where increases of production ahead of schedule coincided with shortages of LNG carriers. This necessitated a complex transshipment operation off the coast of Northern Norway between December 2018 — May 2019. A ban on foreign vessels would have further complicated Novatek’s calculations. Novatek entered into negotiations against the ban from a position of strength as it accounted for half of the cargo volume on the route in 2018 and its success will be instrumental in meeting President Putin’s mandated goal of 80 millions tons of cargo by 2024 — nearly half of which will come from the company’s LNG projects. The softening of the ban is also indicative of Russia’s dependence on foreign financing and technical expertise to push ahead its Arctic projects. Novatek’s Yamal LNG project was in part financed by France’s Total and by Chinese loans. Similarly, up to 50 percent of Arctic LNG 2 will be financed by foreign entities, such as potentially Saudi Aramco.